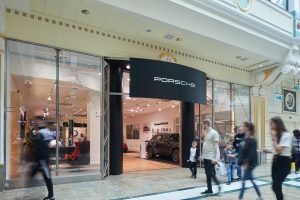 Sports car manufacturer, Porsche, has launched an interactive pop-up store at intu Trafford Centre. Open until 4 July, the Porsche Life pop-up store is designed to encourage customers to interact with the brand and explore it through a digital playground. 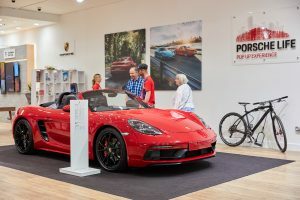 A focal point of the pop-up store is a large scale model of the Mission E, the upcoming Porsche battery electric sports car, which will launch by the end of the year. 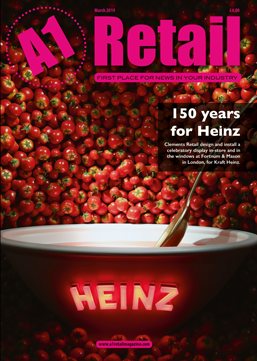 An augmented reality app enables customers to virtually drive the vehicle, customise it and discover its components in X-ray vision. Porsche Life offers customers the opportunity to explore the many stories and legends that have underpinned the brand since the first Porsche sports car in 1948. Whether looking into the future or celebrating 70 years of automotive icons, the bespoke, innovative and interactive environment is designed so guests of all ages can feel welcome. 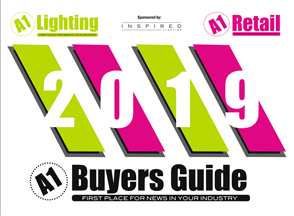 Over the past five years, the number of car showrooms that have opened across intu’s prime regional shopping centres have doubled (four openings from 2014 to 2015 and nine from 2016 to 2018). Brands including Mercedes-Benz Vans, SEAT and Tesla have taken space at intu centres.